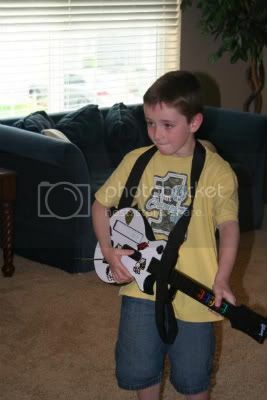 As an early Father's Day present, I bought Josh Guitar Hero III for the Wii. (Yes, the Wii, I earned in 3 weeks on SWATcash!!!) Unlike Jake, Josh is not a huge "gamer". 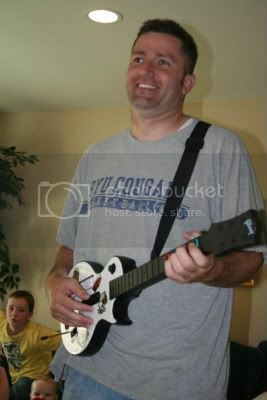 However, ever since the Amazon shipment arrived with Guitar Hero, he and Jake can be found upstairs rockin' out! Guitar is a big hit with guys too. lol we had to buy a 2nd guitar so they could "battle"